A visit to Croatia from my former client Tracy Mayor Vukich during the Christmas holidays reminded me of the research I did of her Croatian roots back in 2013. Her great-grandfather Simon Vukić was born on October 7th 1882. in the parish Vrsi (near the city of Zadar in the Dalmatian region of Croatia – then part of the Austro-Hungarian Monarchy). What I found interesting while researching his life was the fact that he was born as an illegitimate son to Magdalena Perinić and his father was not listed in his birth records. The question that was raised was how was it possible for an illegitimate son to have an different surname than his mother? I found the answer to that question by looking at his birth records in detail. 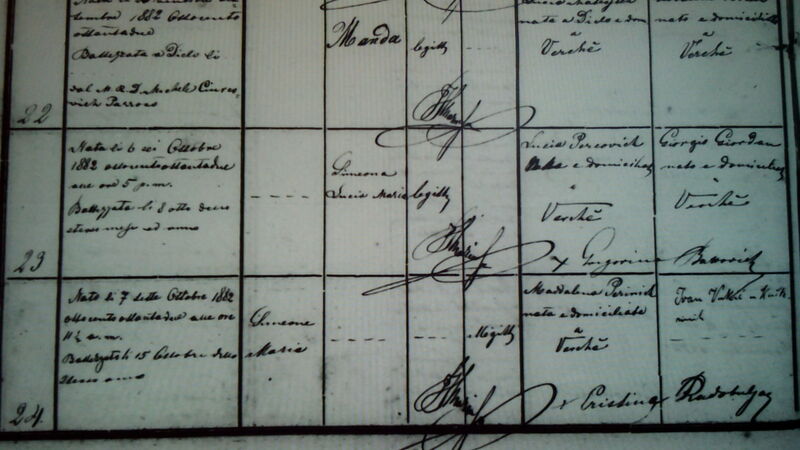 The picture in attachment shows that his father’s name, Ivan Vukić, was additionally added (it is written in an different handwriting than the original text). Having found Ivan’s name I gave into the search for his death records which would show me a part of his life story. The next attachment shows that Ivan died on June 6th 1883. at the age of 22. The remark next to his name gave me the answer for the illegitimacy of his son. The priest who was at Ivan’s death bed wrote his last words, which state that in that moment Ivan recognized Simon as his legitimate son. 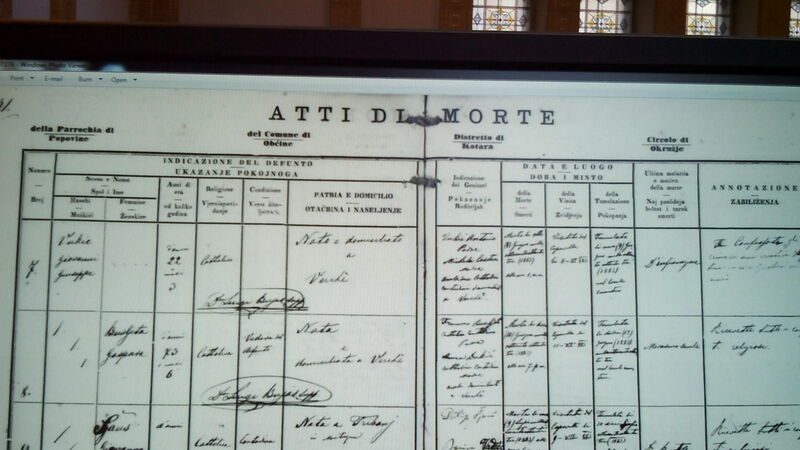 The record states (translation from the original Italian text): “He confessed to me that he has an illegitimate child in the house of Kuštera” (Ivan’s mother’s surname). Next Post Place of birth: The Atlantic Ocean! Thank you a lot for giving everyone a very remarkable opportunity to read critical reviews from this web site. It is always so great plus packed with a good time for me personally and my office co-workers to visit your web site at a minimum three times every week to find out the new guidance you will have. Of course, I’m just usually fascinated with all the gorgeous strategies you serve. Certain 3 points in this posting are truly the most impressive we have all had. Aw, this was a really nice post. In concept I wish to put in writing like this additionally ?taking time and actual effort to make a very good article?however what can I say?I procrastinate alot and on no account seem to get one thing done. Place of birth: The Atlantic Ocean! For those interested in visiting Croatia, we are available as giudes, translators or drivers to your place of origin which often lead to many happy reunions. Copyright © 2015 CroatianRoots | Web Design by WebProjekt.